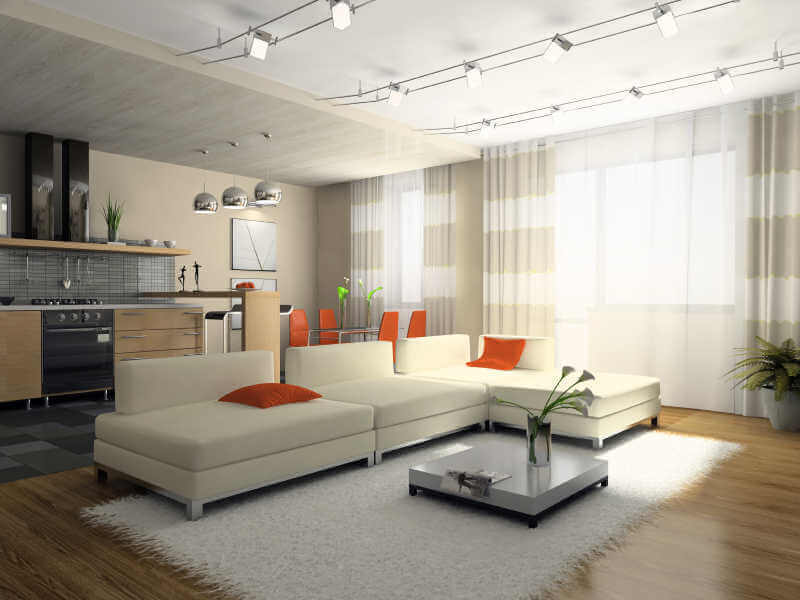 When redecorating a room or a house, contemporary lighting is a big concern. Dimly lit rooms can be uninviting and even depressing since human beings naturally desire light. Some rooms, of course, invite low lighting. A bedroom doesn’t require glaring light whereas a dramatic entryway or living room might be stunning with a bold, dramatic spotlight. The more aged the home, the harder it is to plan for modern lighting. Here are twelve issues to think about when planning your lighting upgrade. 1. First, consider your natural lighting What direction are your windows facing? Light from the north is usually cooler and whiter and daylight from southern-facing windows is be warmer and yellower. This is perfect for plants, but not as complimentary to artists, who prefer the white light of the north. Northern light is more shadow-free, which isn’t as comfortable in a relaxing den. 2. How is sunlight affected by your architecture and landscaping? Are there trees that shade the light, or bushes and shrubs that block the lower parts of the windows and decrease the quantity of light coming in? Does a roofline cast a shadow in key area of a room? Can you increase the quality and quantity of accessible light without spending a small fortune? 3. What activities take place in the room? Do some activities need more light than others? A desk that homework or needlework is worked on requires strong light that covers the entire work area. However, someone unwinding on a recliner and watching television at the end of a tiring day does not want this kind of focused brightness. 4. Do you need adjustable lighting? You might need a bright light focusing on a dining room table while dinner is being set and served. However, once all diners are seated and have loaded their plates, a softer lighting might be appropriate and a dimmer switch will adequately provide for multiple intensities. 5. Are there details in your room upon which you wish direct attention to? Maybe you own a spectacular fireplace or exceptional art? In that case, spotlighting might be appropriate. There might be other necessary, but not-so-attractive areas, that you might wish to minimize attention to by muting the light. Or you might have a spectacular view that is even more wonderful at night. In that scenario, lights reflecting from the windows will make it much more difficult, or even impossible, to see outside. 6. Can you add light to an area by changing your decor scheme? We recently brightened a dark-paneled den by painting all the woodwork and cabinets white and adding 2″ white wood blinds. With this simple change, the entire room has taken on an entirely new appearance and brightened drastically. 7. How do your windows affect the light? Some homes with heavy window drapes are either “on” or “off”: that is, either the drapes are closed, making the room very dark, or they are open and sunlight is completely uncontrolled . Blinds or certain shades can filter light while still allowing a large percentage of it to enter and brighten up a room. 8. The decor features in your home may add light or remove it. For instance, a mirror will add a sense of spaciousness and illumination, and outside shutters or awnings may block the sun’s rays. It might be wonderful to get rid of blinding sunlight on a 95 degree summer day, but in the middle of winter we want every ray of sunlight we can get. 9. What about the traffic pattern of your room? A floor lamp placed in the center of the room so that people must detour around it isn’t the cleverest use of your light sources. Is an off/on switch near all entrances? Searching around on the wall in the dark isn’t most people’s idea of a good time. If this is your situation, a simple motion sensor that turns on lights when a human enters a room is a smart solution. 10. What kind of lighting does your room require? Fluorescent light fixtures might be splendid above a kitchen island but would be hideous directly above an eating area. Schools and other such institutions may welcome such unflattering lighting, but incandescent lighting is probably more appropriate at home. 11. What is the condition of your wiring? Ancient and outdated wiring usually cannot accommodate sleek new lighting systems without work. Updating wiring can be expensive and very disruptive, but it is also an opportunity to add new switches and updates for new computers, high speed Internet connections or even high-tech TV or sound systems. 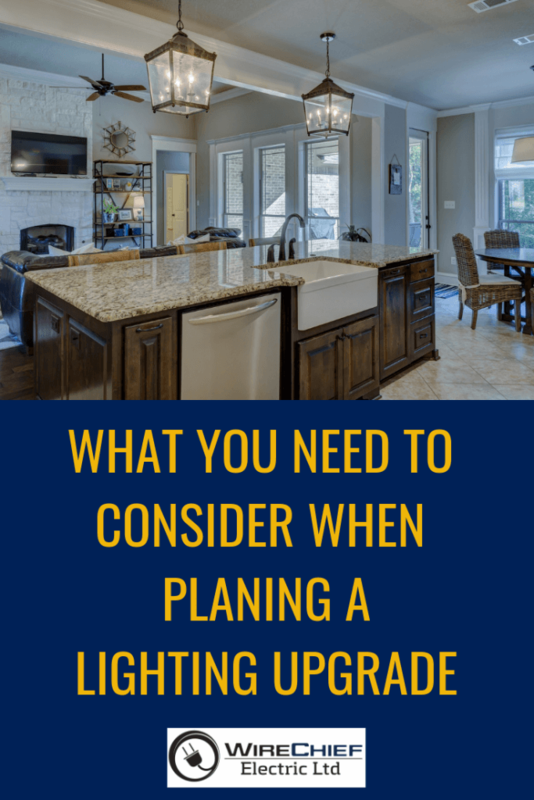 If you consider all these situations before spending any money updating to more contemporary lighting, your end result is certain to be much more satisfying to everyone who lives in or visits your home.